Our mission is to take care of the land on which we live and work and to eat well from its harvest, sharing the increase with our friends and neighbors. 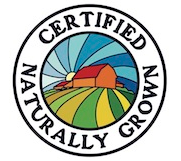 Brood Farm produce is now officially Certified Naturally Grown! We are now booking our Spring Field Trips! Learn about the history of Brood Farm here. We're not difficult to find, but don't expect your GPS to lead you here! IHeaded north through Cave City, turn right onto Johnson Street, just before the Subway restaurant. Follow it to its end and turn right onto Cypress Lane. A little ways down, turn left onto our gravel drive at the "Brood Farm" sign. In just over a 1/2 mile, you will come upon our white farmhouse. Circle on around it to get to the barn.